Waterford’s Katie Power and The Irish Sport Horse Pony Ghost Rider on their way to victory in the Pony Grand Prix at Lier in Belgium on Saturday. Waterford’s Katie Power and The Irish Sport Horse Pony Ghost Rider had another big win on Saturday after they recorded a superb victory in the Pony Grand Prix at Lier in Belgium. 48 riders contested the first round with 10 making it through to the jump off. Katie Power, who comes from Glenbeg in Dungarvan, posted a second clear round in 37.02 seconds, which saw her take victory by over two seconds ahead of the next best finisher. 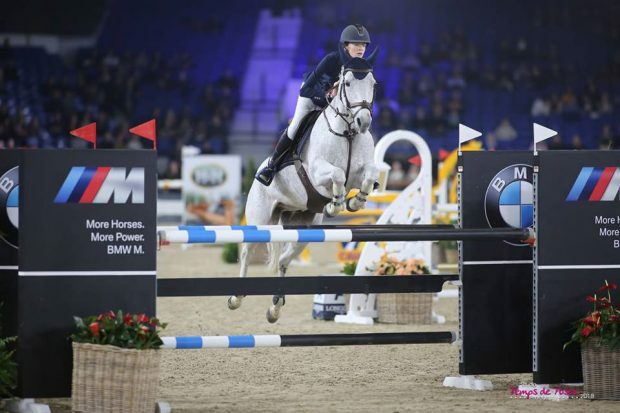 The result comes just a week after Katie won another Grand Prix in Belgium seven days ago while the Waterford rider scored a World Cup win in Mechelen (BEL) just after Christmas.